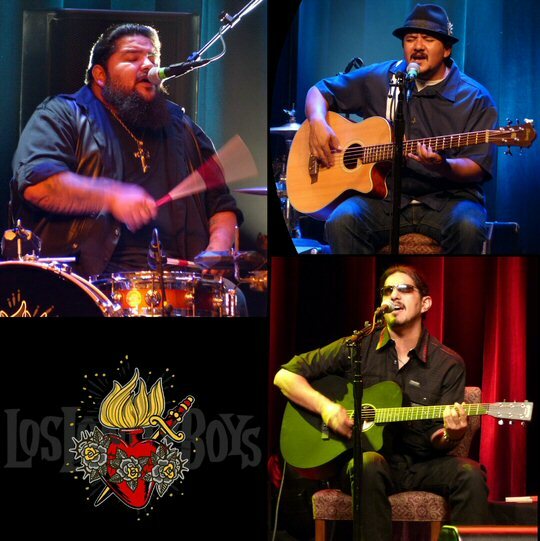 The Los Lonely Boys brought their “An Acoustic Evening With” to the historic Franklin Theatre in Franklin, Tennessee on September 13, 2016 with Lisa Morales opening. The intimate venue in the shadow of Music City has been modernized yet still has a classic old-time feel with legacy pictures hanging in the hallways and rest rooms. The set-up on stage was simple for this night’s up close and personal encounter with the leading progenitors of the “Texican” rock sound. “Don’t Walk Away” set the tone for the rest of the show as it was one of many from their latest album Revelation and found the Garza brothers in tight form on amped acoustic guitar and bass with strong vocal harmonies along with a scaled back drum kit. When the opener was complete the band began to reveal their humorous side, too. Fans of Los Lonely Boys, however, did come out in force as this unique show in Mid-Tenn was a sold-out affair. Another new track “Blame It On Love” followed that flowed on a Latin hook eliciting some enthusiastic shouts from the crowd at the end. The brothers Garza – Ringo, Jojo and Henry are a solid family band. Henry thanked the Good Lord and went on to say that they had written the previous song in Nashville and that they have lived in the city for a number of years in the 90’s stating that they were kind of familiar with the territory and that it was good to be back. Next, Henry picked up a tiny harmonica that had been inexplicably left on his stand asking “is this a joke, are we supposed to play this thing” before the Boys put it through its paces on a quick blues romp with Jojo commenting on “the one and a half note harmonica” before the band gave a nice shout-out to their crew. “Where are we going?,” Henry asked as the banter continued and the brothers out front began to talk over each other’s one liners a bit. Ringo, the brother in the back on drums kicked off the next number with a firm back beat from his tall back throne like chair. Two more songs from Revelation followed. “Give a Little More” had a funky groove while “So Sensual” found the band foraying into territory more akin to Motown. 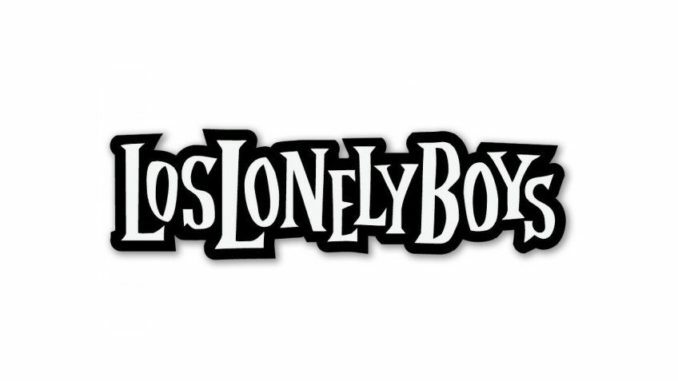 Los Lonely Boys has been steadily touring behind this record since its early 2014 release and while the show was musically proficient and rewarding it seemed like they might be a little punch-drunk from the many months on the road. “What’s the story behind that again?,” Jojo asked as the R&B style song slowly faded. Henry said he forgot so let’s just make one up. Jojo took the bait and went off on a fictional history of the tune that included pizza and a rhyme for orange he called smorange. The Los Lonely Boys also revealed a funny side in Franklin. “Is something wrong here, do we gotta kick out one of these light bulbs like Johnny Cash?,” Henry inquired pointing out the nice vintage lighting that lined the foot of the stage while recalling the Man in Black’s most notorious night in Nashville when he got himself kicked out of the Grand Ole Opry. But, there was nothing wrong at all as the satisfying one hour and forty minute performance reached its climax on the extended blues rock jam courtesy of the geographical “Cottonfields and Crossroads” before sending patrons home and on their way with an acoustic take on their heavenly radio hit “Heaven”. The legendary Franklin Theatre is located conveniently in the heart of downtown Franklin on historic Main Street. The charming venue is in close proximity to a wide variety of shops and restaurants. Upcoming events include Larry Gatlin, KT Tunstall, Marcia Ball and Tommy Emmanuel. 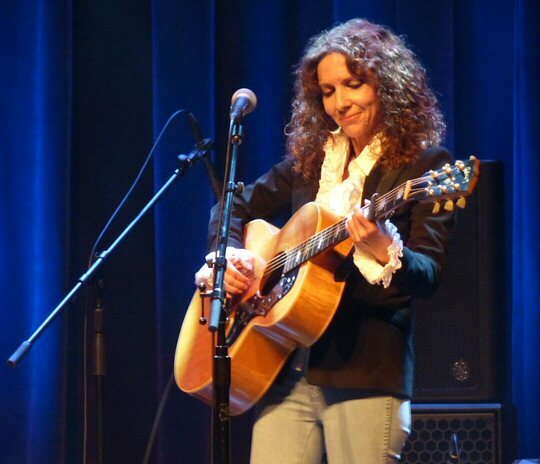 Opener Lisa Morales on stage in Franklin, Tennessee.